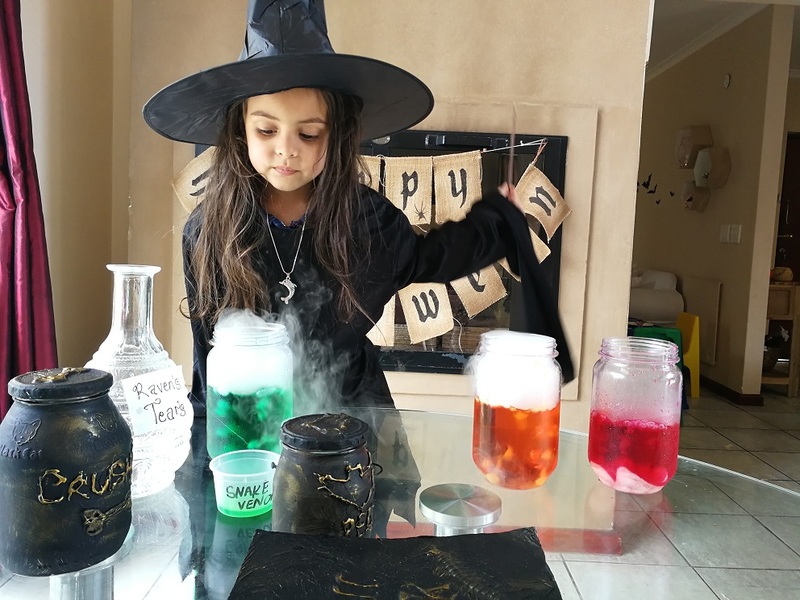 It has to be said that trying to organize a Halloween party, as a breastfeeding mother of a newborn, is something else. I mean, this is not my first rodeo, cowboy – in respect of both kids and the Halloween sense. But put a little bit of a) and b) together, and it makes for an interesting little juggling act. But driven by passion for these kind of things, or pure madness (dumbness?? )- whichever you feel is appropriate – we just about pulled it off. If I were ever on the hunt for all things 6 year old, after this weekend, I’d know exactly now where to go…You know, magical six year old things like a steady bubbling anticipation of one’s birthday a month in advance already, with regular check-ins on the calendar –how many more sleeps. That’s eventually followed by the ultimate crescendo of unadulterated excitement over another birthday that has finally come. (although truthfully, that’s a lot of adults too.) The inexplicable thrill of sticker books, and the joy for all things crafty. The enjoyment of creating things with your hands – even if it’s just your mom giving you pretend power tools to help her with bedroom décor DIY. All these sweet and adorable things that you’d be crazy to not want to collect and keep for later enjoyment. 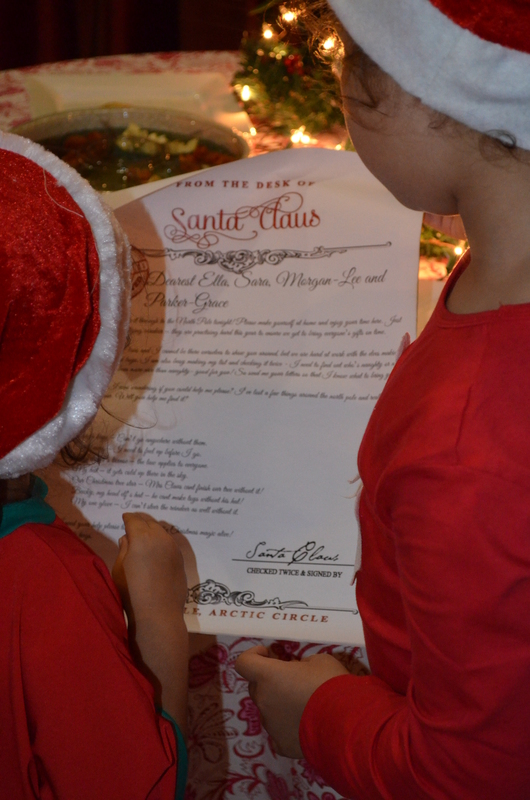 Our Second North Pole Party – cue curiosity and wonder! 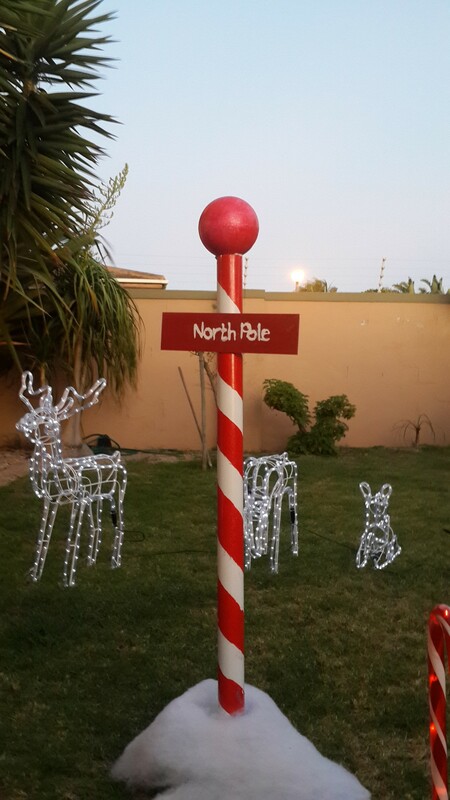 The second year of our North Pole party already done and dusted, with sweet little memories nicely tucked away for future indulging. Not to say it went off without a hitch. One would have thought we’d be a little more well-oiled second time around, right? Well, at least I thought we would. But with end of the year energies flagging, and me feeling an extra sense of fatigue, things were a bit stop-start. I was still snapping at Mike about lights as guests arrived – lights I asked him to sort out 4 weeks prior. But who’s counting? Cookies the girls and I never got around to finish icing (despite their constant reminding to me – geez, I owe them a proper cookie day I guess) And by the time the guests rolled around, I was still busy putting the last few touches together. …With a REAL LIVE UNICORN!!! That’s right! I crap you not! A REAL one! And I’m super excited to show you all that, but before get there, please allow the sap in me to wax some lyrical about my baby girl…. There’s a little girl who seems to have effortlessly mastered the art of exisiting within layers of paradoxes. A roughian, a bruiser, who’s most comfy in twirly dresses and sparkly shoes, with a marshmallow heart. She’s also managed to creep deeply into my heart, and made herself snug right there (right along with her sister)..so when celebrating her, it comes as no surprise then that unicorns were the name of the game. Warning: Lots and lots of happy photos in this post! Like, lots! 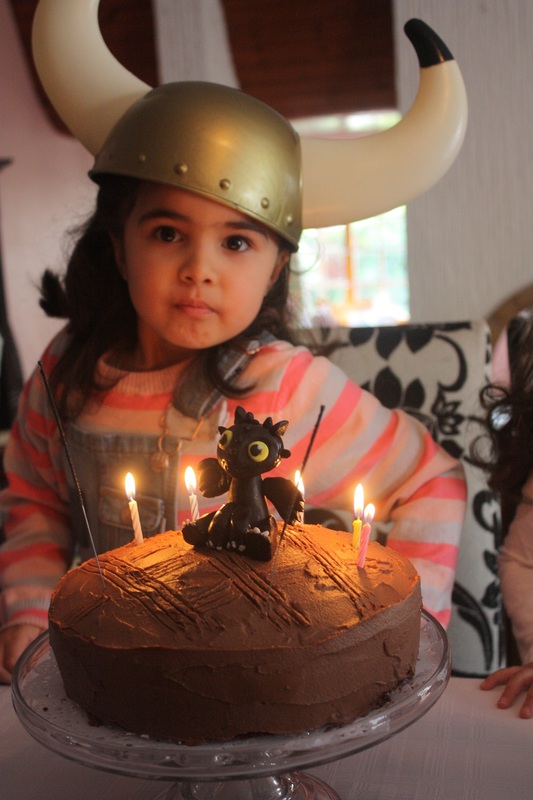 Sooooo…I could go the whole sappy route, and strum those heart strings on and on about what this celebration was about- what with it “only” celebrating my very first born turning five and all. But I won’t. Mostly cause I already played that tune; I strummed those strings, along with the rest of the entire heart string orchestra, all about yet another trip around the sun with my girl. (see here) As well as the dramatic metamorphosis she brought about in me, the day she was born into our lives, making me a mother. 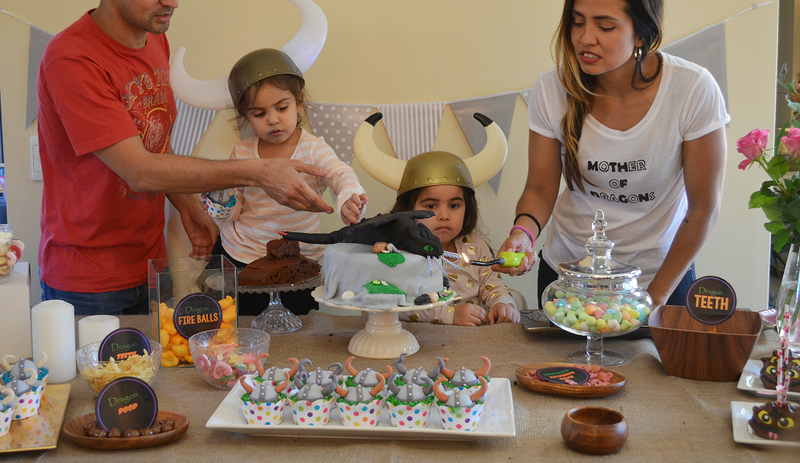 BUT…What I will do is tell you about her awesome little Dragons and Vikings party we had recently!! I don’t’ know about you, but I feel like I’ve constantly been caught with my pants down throughout this year. Everything seems to just have crept up on me, and am then forced to fly by the seat of my pants…. Are there any other analogies using pants? ‘Cause if there are, it’d probably apply to me right now. 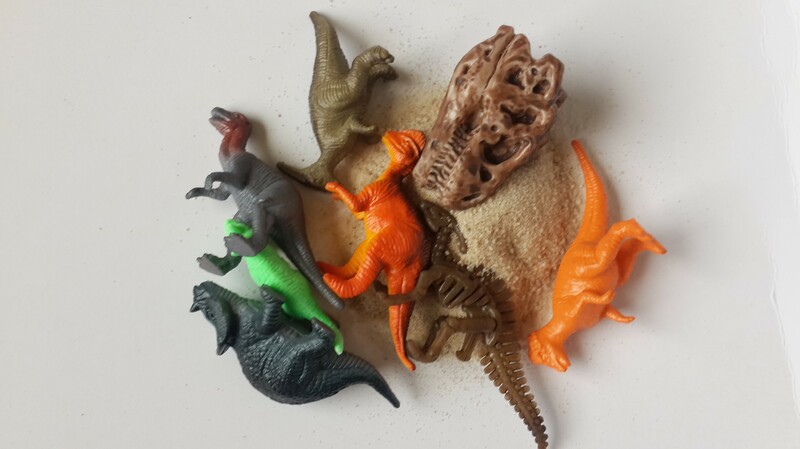 Our Dinosaur Adventure – Our list of 9 Awesome Dino-themed activities! Firstly…YOH(!) I cant believe how long I took to get this post out. It’s just been patiently sitting in my drafts folder since last winter, waiting for it’s time to shine. And finally it’s day has come. Although given how life has been up to now (see here), I think it’s perfectly understandable that lots of little things are going to fall through the cracks now and then. What matters is that we are gentle with ourselves, calmly come back to it, scoop ‘em up, dust them off, polish it up, and well….in this case, publish them!